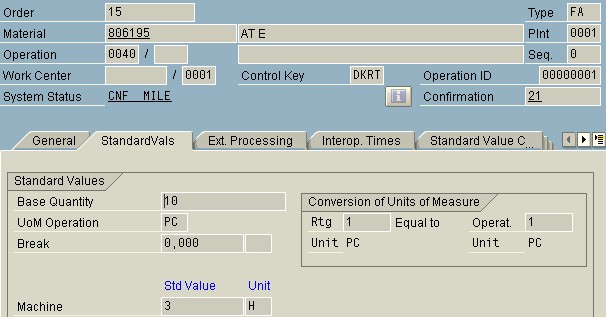 After enhancing the datasource 0WBS_ELEMT_ATTR with the two additional user fields USR06 (UF value 1 WBS) and USE06 (UF unit value 1 WBS) I encountered some strange behaviour. This began when I extracted data from the ECC source system and I saw that the notation of the user value (after DSO activation) was different from the value filled in by the end user. SAP note 1646349 summarizes this problem. It states that the USR06 and USR07 fields of the PRPS table are always stored with 3 decimals places. For this problem I have developed some lines of ABAP code. The logic uses the TCURX table to calculate how many places decimal must shift for each user value known in the RESULT_PACKAGE. Use this ABAP code inside a transformation to get the same user value as maintained in ECC. This week I encountered an issue with the SAP GUI. 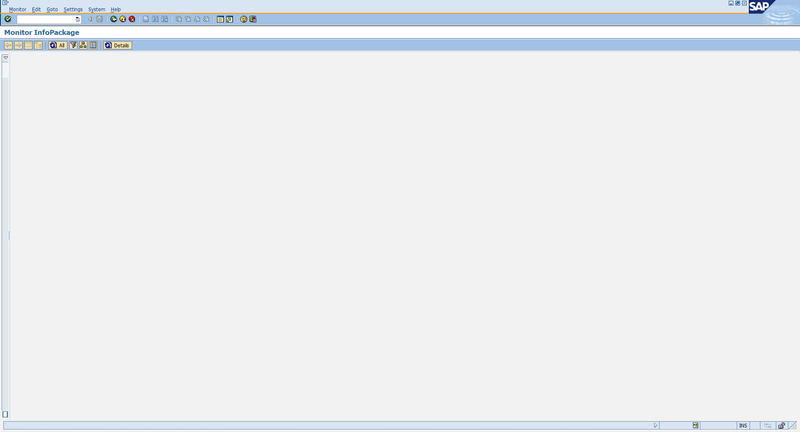 When accessing the data load monitor of an InfoPackage I noticed that the request window wasn’t visible anymore. 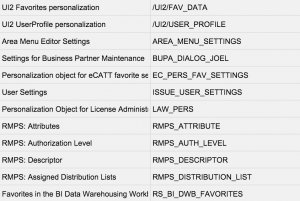 Luckily some of the SAP GUI specific settings are stored in SAP tables. This includes the width of the InfoPackage window. The table which stores the InfoPackage monitor setting is called RSRADIOMON. For every known user a record is stored. As shown in the picture below the column THREEWIDTH is set to 29 which is resulting in a very small window. By changing the THREEWIDTH to a higher value (for e.g. 290) the InfoPackage monitor will be displayed in normal proportions again. Ever heard of norm time per operation? If you did, then you don’t have to read further, for those who didn’t please continue. Last week a business user asked me if it was possible to calculate the norm time per operation on a production order and to add this Key Performance Indicator to an existing BW report. I actually never heard of this KPI. Nonetheless the formula behind it is pretty easy. So with this formula in mind my journey began in the SAP ECC source system. Via transaction CO03 I went to a production order and went to an individual operation. Per operation you are able to consult the standard values and the base quantity. The base quantity is straightforward and can be easily extracted via table AFVV. Extracting standard values is a little bit more complicated, due to the fact that these are attached to a specific work center via a formula parameter. There are multiple standard values available like labor, setup & machine time. For our norm time KPI we are only interested in the machine time. A couple of weeks ago I posted a blog about changing Bex Broadcaster variables. Now this post is an follow-up on that article which describes how to automate the process of changing Bex Broadcaster variables and sending the reports to the users. One way of automating this process is by creating a process chain. 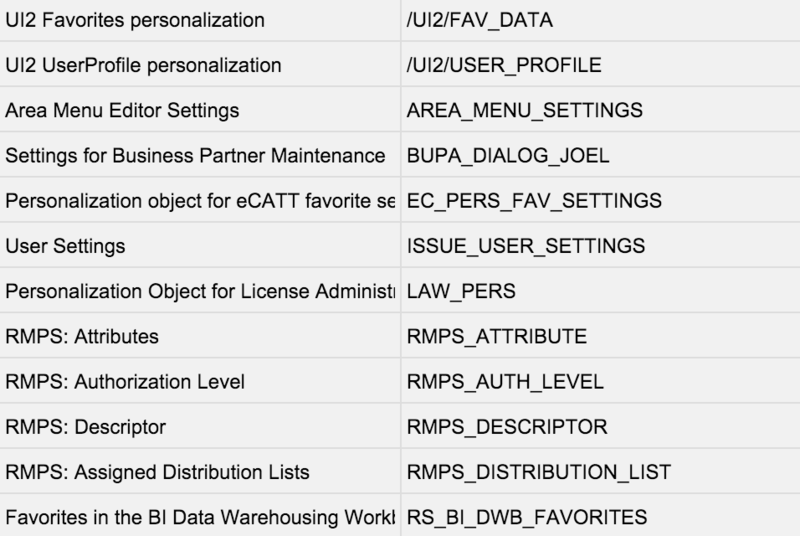 Leaving aside that this is probably the most easiest activity for a SAP BI consultant, creating a process chain with a Bex Broadcaster step could be challenging. Why? Because the default program which SAP advises to use for sending Bex Broadcaster workbooks, sets the monitor of the process chain directly to green. This results in multiple workbooks being calculated at the same time, which then leads to a decrease in performance on our Precalculation servers.